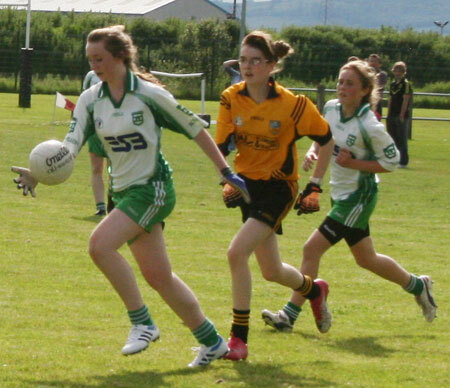 Tuesday evening saw the Aodh Ruadh under 14 Ladies face Malin in the battle for a place in the county final. From the beginning the girls knew what was at stake and made it their business to ensure that their season was not to come to a premature end. 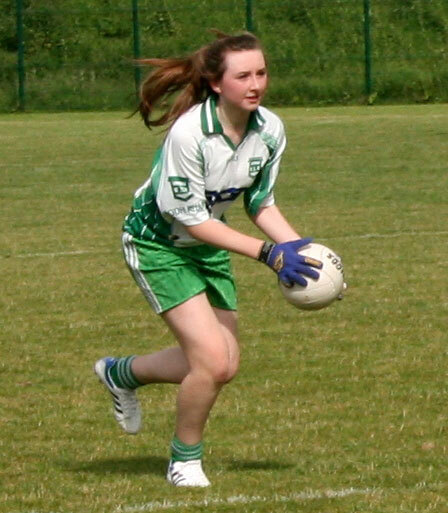 An early point from Aimee McCafferty settled any nerves on the Aodh Ruadh side, and set the tone for the remainder of the game. 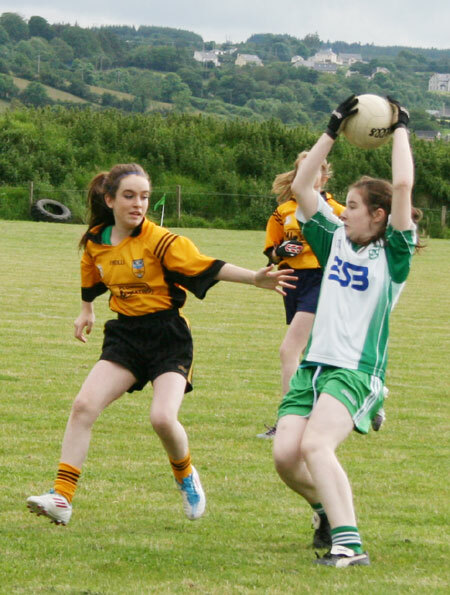 With both Maeve Rooney and Orlaith Gillespie keeping things well under control at midfield, the Aodh Ruadh defense had very little to do in the first halt, indeed anything that got past the midfield area was quickly swept up by Shelly Loughlin, who was on top form throughout the game. By half time,the girls had put up 3-8 on the scoreboard, with the goals coming from the three full forwards, Mary Flora Scott, Tara Duffy and Rebecca Gillespie. 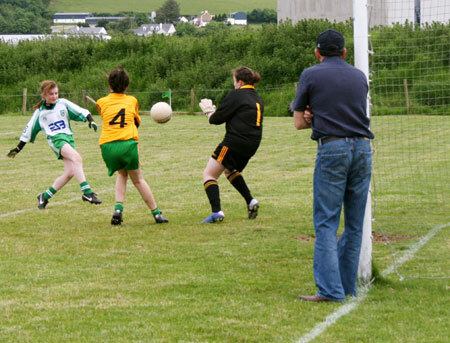 Malin had yet to score. 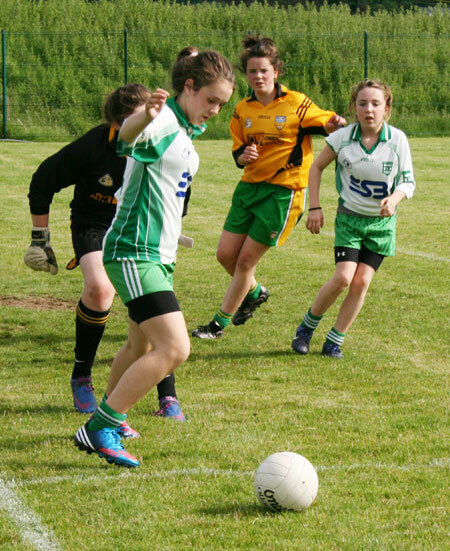 with a huge advantage going in at half time it was always a worry that the Aodh Ruadh ladies would become complacent, however this was not the case as they continued to fight for every ball and really proved that they were a side to be reckoned with. Three more goals in the second half from Mary Flora Scott and substitutes Rois�n Meehan and Rebecca Duffy, ensured Malin were never going to get back into the game. 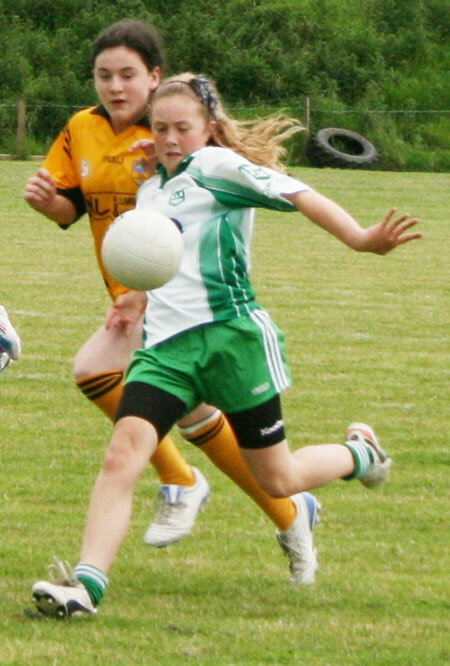 �ine Gillespie at wing forward, worked hard from beginning to end, winning every ball that came her way and tracking back to the half forward line when needed. 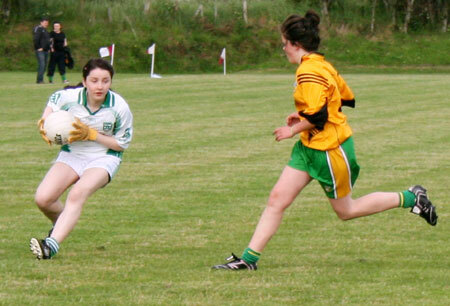 Dearbhaile O'Moore also put in a great performance at wing forward kicking over some great points at her ease. 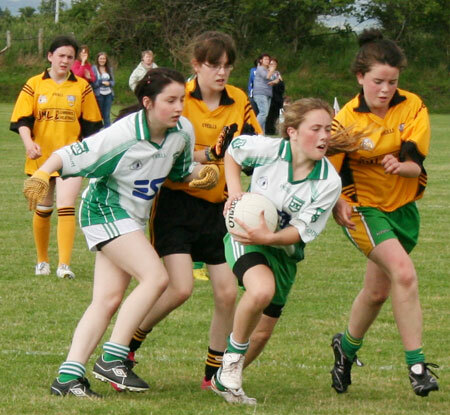 The under 14s will now face neighbours Bundoran in the county final next Tuesday evening. Time and venue are yet been confirmed.